Verizon has unveiled a new smartphone plan designed for kids. Starting Thursday, consumers can sign up for the carrier’s “Just Kids” plan, which offers 5GB of LTE data, unlimited calling/talk to 20 parent-defined contacts, and a subscription to Verizon Smart Family Premium parental controls. Verizon is expanding on its 2018 offer of six months of free access to Apple Music for select users. This week, the wireless carrier announced that new and existing customers can get access to Apple Music at no additional cost and with no six-month cap starting January 17. Verizon decided to expand its partnership with the streaming service because its original free trial offer went over well with customers, said Angie Klein, Verizon’s vice president of marketing. Verizon Wireless proudly boasts that its wireless "BroadbandAccess" service is "unlimited." But Verizon's definition of unlimited may not match consumers' expectations, as those who use the service extensively quickly learn. Verizon’s voluntary severance package offering, made last month, was extended to roughly 44,000 employees, the company confirmed to The Wall Street Journal. That works out to more than a quarter of the carrier’s total workforce. The Federal Communications Commission should use its upcoming auction of the valuable 700 MHz spectrum to create high-speed Internet service that will be a true competitor to broadband services offered by telephone and cable companies, according to a group of public interest and consumer groups. In a series of three filings with the FCC, the six-member Save Our Spectrum coalition said the Commission should structure the auction of the spectrum, and the service offered over it, so that the service will be operated in a non-discriminatory manner, under an open access structure following auction rules that will allow for greater participation than simply the incumbents. The members of the coalition are: Public Knowledge, Media Access Project, Consumers Union, Consumer Federation of America, New America Foundation and Free Press. In the filing on non-discrimination issues coordinated by Public Knowledge and New America Foundation, the coalition said the Commission should "establish a service rule for broadband services operating in the 700 MHz band that protects the consumer's right to use any equipment, content, application or service on a non-discriminatory basis without interference from the network provider." This recommendation would make certain the landmark 1968 Carterfone decision allowing consumers to attach devices ranging from fax machines to computers to the telephone network, and would implement Net Neutrality principles of non-discrimination. The open-access filing, coordinated by Consumers Union, argued that broadband deployment has advanced in other countries that allow competitors access to telephone-company networks. "It is imperative that we learn the lessons of the wireline market and make the appropriate policy corrections in the launch of the most promising wireless broadband markets," the filing said. "Wireless broadband has not been a useful 'third pipe' and will not be in the near future if this spectrum is auctioned to the very same vertically integrated telephone and cable incumbents that dominate the wireline market." In the proposed auction rules, a filing coordinated by the Media Access Project, the coalition recommended the Commission offer the new spectrum at the wholesale level, and should "either prohibit wireline and large wireless incumbents from bidding, or require them to bid through structurally separate affiliates." The Commission should also guard against the possibility that winners of the spectrum auction not keep the spectrum from being used by not constructing new services, the groups said. Verizon Wireless says it is lightening up on the termination charges it slaps on customers who cancel their contracts early. Starting this fall, customers who cancel early will pay a pro rate cancellation penalty based on how many months remain on their contract instead of a fixed fee of several hundred dollars. Verizon Wireless is the first major U.S. carrier to commit to a national policy of pro rating early termination fees. The change will take effect this fall for new customers. Existing customers will have to -- you guessed it -- renew their agreement to take advantage of the change. Denny Strigl, president and chief executive officer of Verizon Wireless said the change is being made to adapt policies to customers' needs. "We believe dissatisfaction with flat early termination fees is tarnishing the entire industry," he said. Speaking at an industry conference, Strigl said the wireless industry has the ability to transform itself in the years ahead by continuing to add value for customers through technology and responsiveness. He said Verizon Wireless has the most loyal customer base, as well as the highest ratio of local number portability (LNP) port-ins. Strigl said Verizon Wireless has a track record of listening to its customers and making policy decisions based on customer needs. Verizon Wireless parted with the industry by refusing to participate in a wireless directory when customers said they didn't want one. The company also broke from other wireless companies to support local number portability because customers wanted the freedom to take their numbers with them if they switched service providers. Strigl said Verizon Wireless is taking similar action with early termination fees, as it is an issue that increasingly is irking customers industry-wide. Meanwhile, analysts at Merrill Lynch say Verizon Wireless continues to take market share across the board. Cingular is executing well. Alltel appears to have gained momentum. However, the analysts said T-Mobile is likely to come up short on net additions during the quarter. Merrill Lynch found that Verizon still has an edge with regard to customer perception of network quality, and it is using that advantage to gain market share. 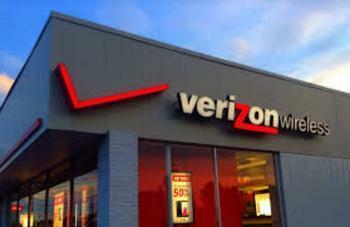 Verizon stores are extremely busy, particularly in markets where a competitor's service is not up to par. Indeed, so busy are the stores, that it was commented that a number of stores the analysts visited could use additional sales reps in order to help meet the customer demand. The analysts report that Sprint continues to struggle with its marketing message and many customers and some sales reps still do not understand the supposed benefits of the Sprint-Nextel merger. Cingular's record has improved, the analysts said. There are still some areas where customers remain unhappy with Cingular's network coverage, but in general customers are seeing an improvement. T-Mobile USA moved primarily to 2-year contracts in April, becoming the last national carrier to switch to two-year service plans. The long-awaited acquisition deal of Yahoo by Verizon finally reached a conclusion on Thursday after Yahoo shareholders approved the sale of the business. That means on Tuesday, Yahoo will officially become Altaba, which will take the cash from the sale and Yahoo’s holdings in Yahoo Japan and Alibaba group. You could say that Yahoo has been having a rough time of it lately. Two massive data breaches totaling over 1.5 billion in 2016 have mired it in a PR nightmare that initially put its acquisition by Verizon in a very tenuous position. After 20 years in operation, Yahoo Messenger will be shutting down on July 17. The news -- which was announced by Oath, a Verizon subsidiary that owns both Yahoo and AOL -- comes six months after AOL Instant Messenger (AIM) was shut down. Earlier this month, it was announced that Yahoo Messenger would be shutting down after 20 years in operation. Now, Oath -- a Verizon subsidiary that owns both Yahoo and AOL -- has unveiled two new versions of Yahoo Mail. A revamped mobile web version of Yahoo Mail will include the addition of several new features, while a new app targeting Android Go smartphones will be smaller and more lightweight than the standard app. A report that Verizon is thinking about acquiring Charter Communications, which recently acquired Time Warner Cable, has sent heads spinning. The speculation surfaced Thursday in The Wall Street Journal, which quoted sources as saying Verizon's CEO had made overtures to Charter executives. Such a deal would create a massive media company that controls large swaths of broadband internet, cable TV, mobile voice, and data services. On Thursday, Verizon released a pricer, third-tier unlimited data plan entitled “aboveunlimited.” The new plan joins “gounlimited” and “beyondlimited,” both of which vary in terms of what they offer customers. Unlimited data plans have experienced a great deal of evolution over the years. Last year, Verizon broke its unlimited plans into two options for customers, and it ultimately comes down to cost. Now, the company has introduced a third plan into the mix. We recently reported that Yahoo and Verizon were making progress in closing their acquisition deal. The agreement had faced many headwinds, from multiple Yahoo data breaches to circulating rumors about Verizon asking for a huge discount on the deal. When we first reported details about Yahoo’s massive data breach, which compromised user data on 500 million accounts, we mentioned how the timing of the disaster might negatively affect the acquisition deal it established with Verizon. The telecommunications giant snatched up the struggling data company in July for $4.8 billion. However, since the breach happened in 2014 and it wasn’t properly communicated, that gives Verizon some leverage to re-negotiate a price or back out of the deal entirely. Now, a new report from the New York Post says that Verizon is pushing for a $1 billion discount off the deal. It seems that news of the breach, along with allegations that Yahoo scanned emails for terrorist signals for a government agency, has put a strain on the negotiations. “In the last day we’ve heard that [AOL boss] Tim [Armstrong] is getting cold feet. He’s pretty upset about the lack of disclosure and he’s saying, ‘Can we get out of this or can we reduce the price?’” said a source close to Verizon. Asking for a discount simply makes good business sense, since the scandal and any financial consequences diminishes Yahoo value. On top of the discount, sources say that Verizon is putting aside $1 billion in reserve to deal with any fallout from the breach. It’s a move that former Yahoo CEO Ross Levinsohn detailed to CNBC on Wednesday. “If I’m sitting at Verizon right now . . . just from a business standpoint, I’d probably reserve a bunch of money against the deal or go back to Yahoo and ask for a discount,” he said. At the same time, however, Yahoo is pushing back against the suggestion. The company has balked at the prospect of a discount, saying that Verizon should honor the established deal and that it has no legal avenue to change the terms at this point. Yahoo’s board is set to meet in two weeks to address the issue, but discussions will continue up to that point. “Tim was out there this week laying the law down and [Yahoo CEO] Marissa [Mayer] is trying to protect shareholders. . . Tim knows how to be fair, while Verizon is pushing him, he can bridge the gap,” said a source close to the situation. On Verizon’s end, the breach comes at an inopportune time for its other business prospects. The company acquired AOL nearly a year and a half ago for $4.4 billion and had hoped to combine it with its Yahoo acquisition to create a competitive rival to Google and Facebook in the digital advertising market. Estimates suggest that the combination will reach 1 billion consumers if it closes in the first quarter, and that number could grow to 2 billion by 2020. Wanting to get the Yahoo acquisition put together may provide incentive for Armstrong to hammer out a deal quickly, but at this point the going may be slow and nothing is set in stone. “They’re being cautious because they don’t know what they’re going to find,” one source said. Consumers have been attempting to manage the data they use on their mobile devices for years, with mixed success. But as technology continues to advance and new media trends take hold, it has gotten more and more difficult to do. Certain services, such as video streaming, can take a big bite out of users’ data if they’re not careful, which can lead to hefty overage charges. It is for this reason that many providers have changed or abandoned unlimited data plans, which are potentially less lucrative than raking in exorbitant fees related to data limits. However, Verizon recently announced a new mobile data plan that allows users to buy unlimited data for small chunks of time. The plan, called PopData, allows consumers to take advantage of 30- and 60-minute periods of unlimited data, which could be very useful if you need to download a large file or find yourself in an area without Wi-Fi. The company is pricing the 30-minute periods at $2 per extension and the 60-minute periods at $3 per extension, and the total cost of all extensions will be added to each customer’s bill at the end of the month. While the new plan may seem great at first glance, critics have been quick to point out its shortcomings. First, customers should be aware that PopData is only available while they’re in an LTE network; consumers in an area where Verizon’s 3G network is only available WILL NOT be able to use PopData, so data limits will still apply. The plan is also only available to postpaid subscribers, which means prepaid customers won’t be able to access it. Perhaps more worrying is the way that the timer works on the plan. Once a user selects an extension and starts the timer, there is no stopping it. If there are network problems, like slow speeds or bad performance, the timer will continue to tick down anyway. For users on less congested networks, this might not be too much of an issue. But for those who might be sharing a network in a city or highly-populated area, having a set time of unlimited data isn’t all that helpful if the network speeds are slow. So, before signing up for a block of unlimited data, consumers should be well aware of network conditions and how it might affect their mobile activities. To learn more about PopData, visit the plan’s page here and peruse the FAQ section here. Are you in the market for a new smartphone but can’t imagine paying hundreds of dollars for the newest piece of tech? If so, you may be in luck. Verizon Wireless has a few offers on smartphones that should knock down prices and make things more affordable. Verizon Wireless has joined most of its competitors in offering an unlimited data plan, stating that it is available for both new and existing customers. The new Verizon Unlimited plan costs $80 for unlimited data, talk, and text on one smartphone line if you also sign up for paper-free billing and AutoPay. Four lines cost $45 per line, also with unlimited data, talk, and text on smartphones and tablets, again with the requirement of paper-free billing and AutoPay.